Ever found yourself without a poop bag when you need one? It happens to the best of us, but as pet parents it’s our responsibility to scoop that poop and this deal will certainly help prevent you from being bagless! 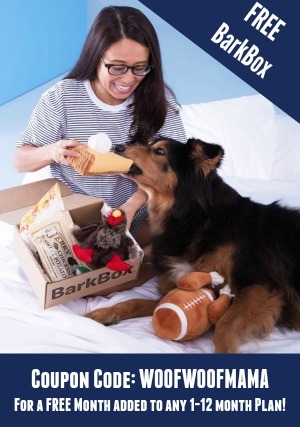 It’s 1,000 pet waste bags (50 rolls) + a free dispenser for $16.99. With so many rolls you can stash a roll in your handbag or backpack, keep some in the car, drop some off at your favorite rescue group and share with that neighbor who never seems to be equipped to pick up after their dog (hint-hint). 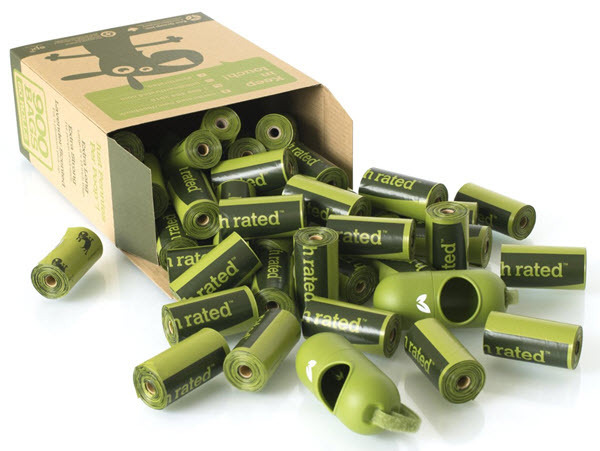 These are unscented poop bags and are BPA-free, made of EPI plastic that is less harmful to the environment. Go here to snag the deal! As with all Amazon prices, this one can change at any time so be sure to verify the price before completing your order. 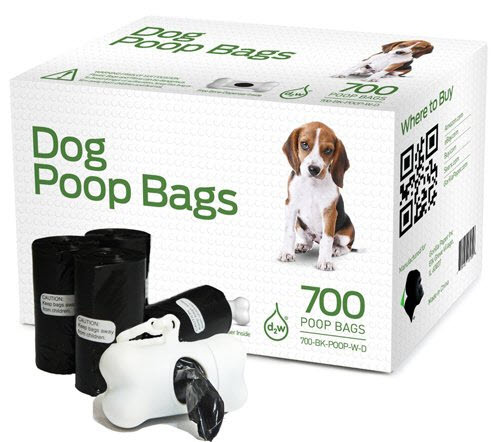 Just spotted an AMAZING deal on something every responsible pet parent needs…poop bags! It’s something no one likes to think about, but is unavoidable. Stock up while these strong, durable and extra-large dog waste bags are on sale and you’ll be sure not to run out for quite some time. Hurry on over HERE and snag your choice of 640 Green or Pink Lavender Scented Eco-Friendly Dog Poop Bags + 4 Dispensers for just $18.95 ($63.80 reg). That’s a whopping 70% OFF list price AND your purchase is eligible toward FREE SuperSaver Shipping (w/ $35 order total) or Free 2-Day Amazon Prime Shipping (no min. purchase required). If you haven’t already, you can snag a FREE 30 Day Trial Membership of Amazon Prime and get unlimited free 2-day shipping plus free streaming TV, Movies, Music and more! Snag this amazing deal over at Amazon and never get caught without a poop bag when you need one! 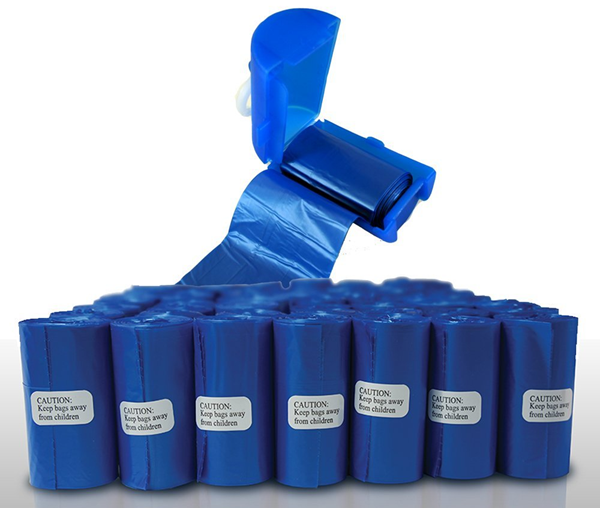 The bulk pack of dog-waste bags includes 60 rolls with 15 bags per roll for 900 bags total. Stock up and quit the endless search for bags. Bonus: if you see another dog walker in need, you’ll have a bag to spare. On sale right now for $14.99 and it’s FREE Shipping eligible. Go HERE to get yours while you can! There’s not much I hate worse than when people don’t pick up after their dogs. Not only is it gross and stinky but it can be a real health hazard, spreading germs and parasites to human children and other fur kids. 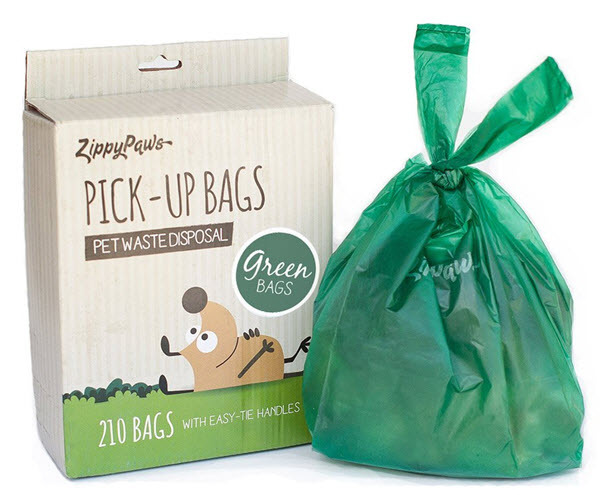 I’ll admit that even the most well-meaning pet parent can accidentally run out of waste bags, so I’ve done some research and rounded up the very best deals on large quantities at great prices. Since not everyone likes the same kind, I’ve tried to include a variety of styles including rolls, mitts, tie-handles, and our favorite: eco-friendly dog poop bags. And maybe you’ve never had a dispenser or the one you have is cracked or just worn looking (been there!) I’ve also tried to include deals on waste bags that also include a free dispenser or two. So, take a sec and stock up so you won’t find yourself bag-less! This is probably the best deal on a large quantity of bags AND it’s eligible for FREE Prime or SuperSaver Shipping at Amazon! I like the cool variety of blues that the bags come in, and the two dispensers in orange and blue. 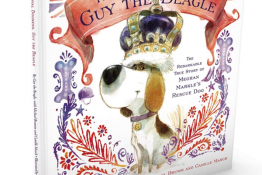 This would make a GREAT gift for someone who recently adopted a new dog! Some people are really creeped out if they can see the poop once it’s in the bag. 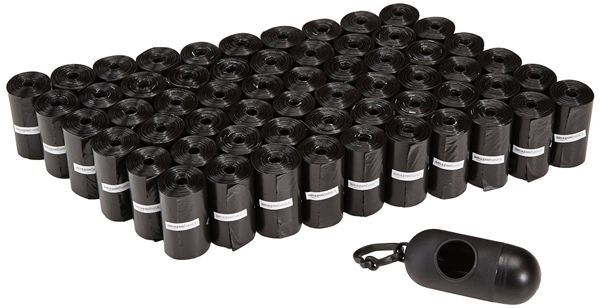 It really doesn’t bother me anymore, but if you prefer, these black dog poop bags will do the trick! They are 2 inches longer than average bags and thick enough to prevent leaks or tears. 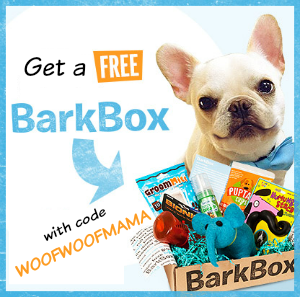 You’ll also get one free leash bone dispenser with your order. 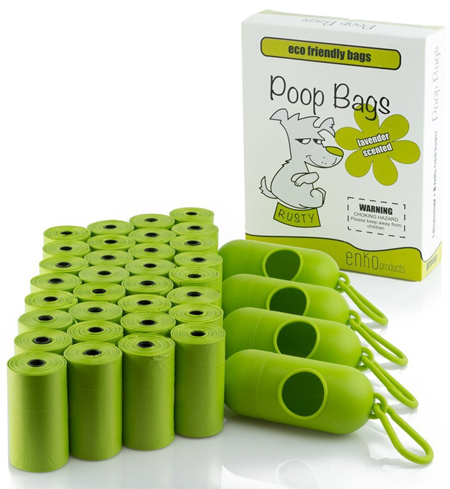 These green poop bags come with easy to use tie handles. They come loose in a box rather than on a roll, which some people prefer. They aren’t just green in color…they are also eco-friendly, made with 5% cornstarch to aid biodegredation and with no artificial scents added. Several of our friends on Facebook have commented that these are by-far their favorites and professional dog walkers swear by them! Earth Rated brand received great reviews for their lavender-scented, bigger, thicker, and totally leak-proof eco-friendly dog poop bags. The bag dispenser is designed with a special hook to hold the used bag until you find a waste can so you don’t have to carry it around in your hand. Of course if you are lucky enough to have your own home with a yard, you can save the bags for when you are on-the-go and use a more eco-friendly method of waste removal, like these super-affordable pooper scoopers . Also check out this super eco-friendly power lawn tool, the Auggie Dog, for an automatic, self-cleaning system of dog poop removal! Are you a fan of Dean Russo’s pop art depicting various cat and dog breeds in colorful designs? 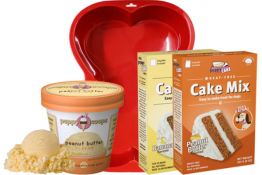 If so, be sure to hop on over to Coupaw.com while they are having a sale! Get a Dean Russo Designer Tote Bag in your choice of dog breed or cat design for $29.95 (plus 4/95 S&H). 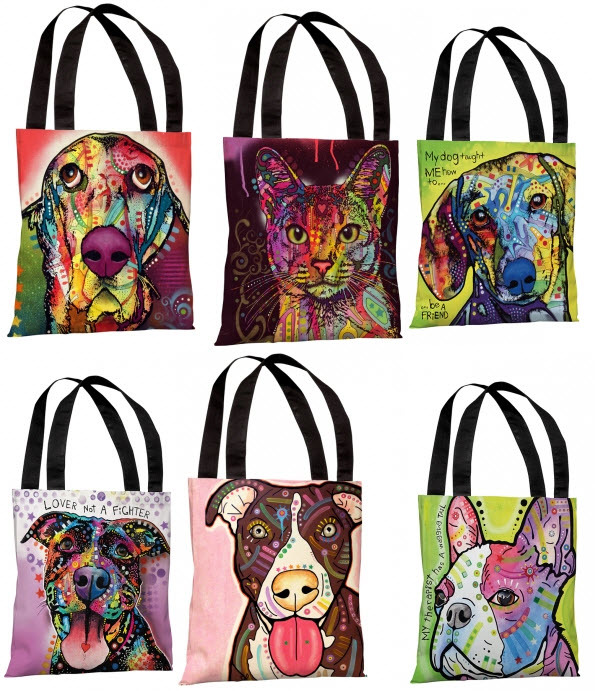 Whether you are a pit bull lover, have a Golden or Lab, love a Boston Terrier or Siberian Husky…you’ll probably find the perfect tote for yourself or as a gift for a pet lover in your life. There are way more than I can list or show here so visit Coupaw HERE to check them all out before they are gone. Regular prices range from $40-$65 depending on where you shop, so the sale price is a nice savings! 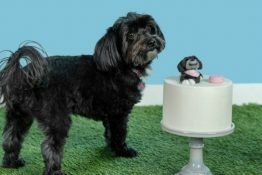 Also be sure to signup for Coupaw Pet Deals so you can be the first to know about future sales and discounts on pet supplies, home decor for pet lovers and more!